Children need healthy meals to learn. Page Unified School District will be participating inthe National School Lunch Program and the School Breakfast Program. As part of this program, Lake View Primary, Desert View Intermediate, Page Middle School will offer healthy meals every school day at NO COST to the students due to the implementation of the Community Eligibility Provision for school year 2017-2018. Students will be able to participate in these meal programs without having to pay a fee or submit a household application. Page Unified School District #8 is happy to announce a new breakfast program for Preschool through 8th grade students. 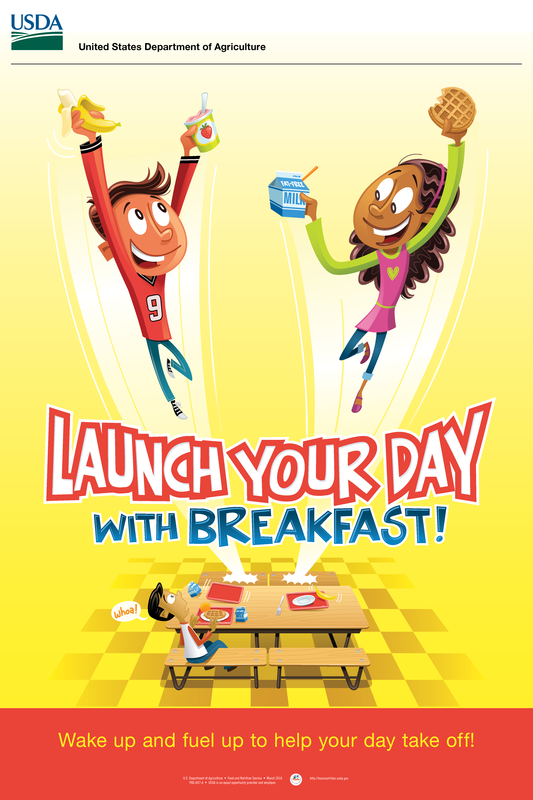 Beginning on August 9th, 2017 all students will have the opportunity to eat breakfast with their classmates in the classroom. The new program replaces our current breakfast service. · Breakfast is eaten in the classroom every school day. · Breakfast is served the first 10 minutes of class. No further action is required of you. Your child (ren) will be able to participate in these meal programs without having to pay a fee or submit an application. cafeteria from 7:15 a.m. to 8 a.m. Let's charge up for a great day!